The new 2016 Nissan Sentra is a compact car made for sitting of five passengers. It comes in Nissan’s compact sedan segment and has most of the advanced features which you expect a luxury sedan to have. It is redesigned with a sharp head and tail light style. The revised front and rear springs with damper tuning provide more confident handling to its drive. Its back seats offer more space and are highly comfortable at the same place. Nissan Sentra has received an updated exterior with the aggressive front grille of honeycomb pattern and distinctive rear face adds to its design. It is available in ten different colors. It also carries multiple trim levels including S, FE+ S, SV, SR and SL. 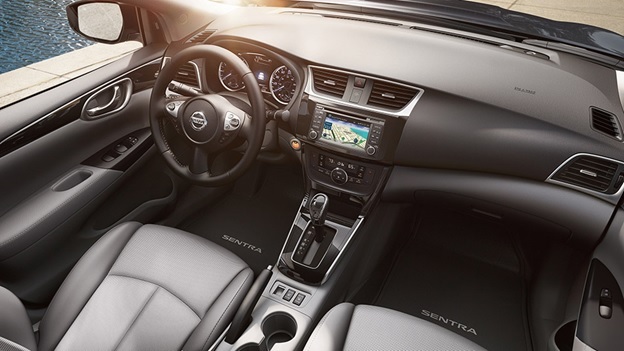 The new 2016 Nissan Sentra has advanced safety features such as turn by turn direction to caller ID, intelligent cruise control ,and most prominent one is advanced drive-assist display and you can turn to different screens through steering-wheel control feature. The level of interaction and communication has been taken to a new level in this excellent car. With automatic emergency braking, blind spot monitor, rear cross-traffic alert and Nissan Connect emergency systems, it keeps the promise of a confident and safe a drive. 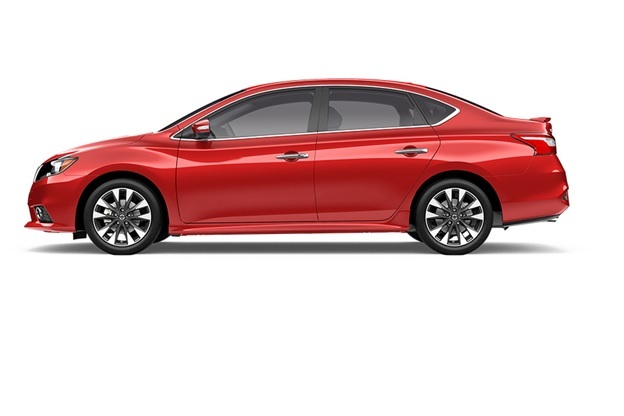 The body of 2016 Nissan Sentra has aerodynamic exterior cuts; providing it powerful speed. The signature styled front and tail lights have low beam projector LED lamps giving a fresh look to the car. It has 17- inch alloy silver color wheels. The Sentra SR receives sporty accents throughout its body inspired by racing cars design. It has new rear bumper, spoiler, wheels and chrome exhaust finisher. The inside of 2016 Nissan Sentra receives very fine and quality design. For ensuring comfort, the soft leather material has been used that provides a luxurious experience. The leather wrapped steering wheel and trim is also finished in piano black color. It has intelligent key features which enable the drive to lock or unlock doors and trunk. Further, it has dual zone automatic temperature control, heated mirrors, steering wheel- mounted controls, auto- dimming rear view mirror and heated front seats feature for cold weather. Moreover, 2016 Nissan Sentra offers you amazing flexible sitting place when you need because it has the 60/40 split fold-down rear seats and front and rear seat folding option lets you arrange plenty of more space for carrying luggage. 2016 Nissan Sentra has 1.8- liter engine which propels 130hp and produces 128-pound feet of torque. It has a virtually gearless Xtronic CVT transmission that provides a powerful drive. Its engine has six-speed manual transmission and it is fuel economical.